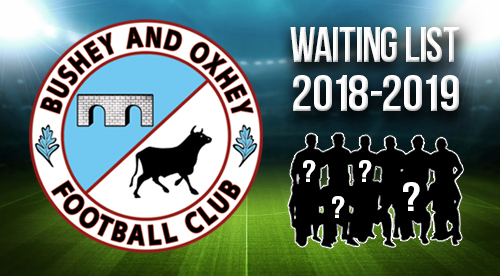 Bushey and Oxhey FC is a community club and open to children of all abilities in “non competitive” age groups (up to under 10). When places become available, players may be invited to join in training sessions, to see how they like it and ensure they are placed in a team where they can develop their skills and enjoy playing football. Some of our more established teams, competing in league football in older age groups, may need to be more selective, to be fair to all.